2. Your family & possibly the neighbors may think you are whipping up Mustard Gas as the smell of boiling vinegar will knock you out! 3. It makes quit A LOT! I made mine in 4 oz mason jars and filled almost a dozen. 4. You can totally control the heat by the amount of jalapeno or hot pepper you use. If you and your people love heat, add more, if you are like me and don’t like to much use less! Blitz peppers in food processor. Add all ingredients except pectin,bring to a rolling boil, remove from heat and let stand 5 mins, all the “gunk” will rise to top, skim off and discard. Add pectin, mix well and add to hot jars. Delish!! 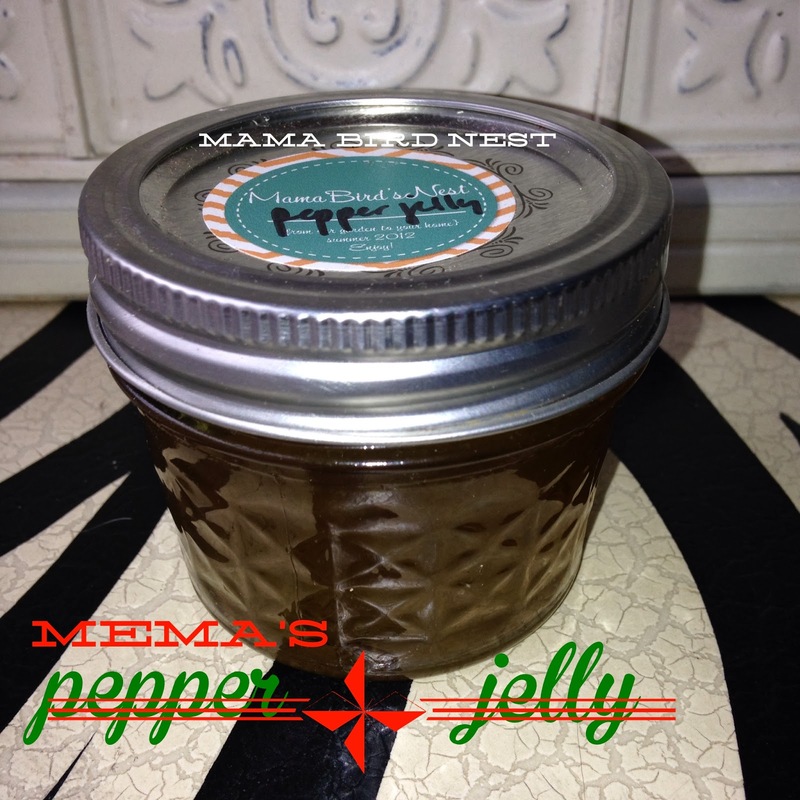 This entry was posted in Uncategorized and tagged CHRISTMAS, Christmas gift ideas, food gifts, green peppers, Hickory Mom Blogger, jam, Mama Bird Nest, Mama Bird's Nest, pepper jelly. I have never had this. How spicy is it? Sounds like a special tradition. What a GREAT!!! gift for Christmas and I love putting this jelly on toast with cream cheese. YUMMY!! !